Let’s face it. The number of choices there are when it comes to picking tile can be intimidating. However, flooring is a critical part of any interior design, and ceramic tile can accentuate the beauty, design, decor, and comfort of your home. Choosing a tile that fits your home can be a delicate, yet rewarding process. Each type of glaze serves a unique set of flooring purposes along with producing different densities and textures. Glazed tiles tend to offer better stain and moisture resistance than unglazed tiles. They are coated with glass-forming minerals and ceramic stains, and they typically have a matte, semi-gloss or high-gloss finish. A high-gloss finish often makes the tile slicker and reveals more scratches. Matte or textured finish can help increase traction while making scratches and dirt less visible. Unglazed tiles are hard, dense, and can have various surface treatments and textures. These tiles are typically installed outside due to their good slip resistance. However, they do require sealing in order to prevent staining. Porcelain tiles fall within the ceramic tile category, and they are the hardest and densest tiles available. Rather than having a structurally-sound material form the base of the tile that is then covered by a special coating, these tiles are made completely from dense porcelain, and they require no extra top coat. They are non-porous, enabling them to withstand extreme temperatures and resist scratching. Its lower price and limited maintenance makes tile an attractive alternative to stone. However, tile can be made to have heavier textures and chiseled or hammered edges in order to resemble tumbled stone. In this way, the style of tile will determine its texture. The feel of a tumbled stone or slate-looking ceramic tile will be rough and course. Tiles that are meant to replicate marble or granite textures will have a smooth, polished feel. The desired look will also determine the degree of shine that will need to be used, such as dull, semi-gloss or glass-like. Grout is a type of cement used to fill space between tiles and support tile joints. The choice of grout can impact the completed look of the tile. There are two types of grout: Portland-cement-based grout and and epoxy-based grout. Adding sand to either kind of grout will result in a stronger cement. Generally, sanded grout is for tile joints that are 1/8 of an inch or larger, while unsanded grout is used for joints that are smaller than 1/8 of an inch. Further customizations allow for the grout to be colored to various shades and hues. Pigment is added while the grout is being prepared, normally at the job site. The appearance of the tiled floor can be affected by the color and thickness of the grout. Using dark grout with light tiles will define and emphasize the geometric patterns of the design, while lighter colored grout will highlight the colors in the tile. Manufactured tiles will range from sizes of 1” to 24” square and are normally boxed and priced by square foot. Larger tiles tend to be the most popular, such as 13” by 13”, 16” by 16”, and 18” by 18”. However, tile size is relative, and it is often referred to by nominal size instead of their actual size. During firing, ceramic tile will actually shrink about 10% in size. The appropriate tile size for any area is determined by the size of the room. Small areas don’t necessarily demand small tiles. Incorporating a larger size tile in a smaller room can visually increase the size of the space. Using larger tiles will result in fewer grout lines, and it also creates a cleaner surface appearance. Alternatively, using a tile size that is too small will create more grout joints that may make the floor look too busy and unappealing. Tile is an incredibly versatile product. Outdoor tiles are safely designed with frost resistance and a non-skid finish. To minimize cracking or chipping, outdoor tiles have a low water absorption rate, protecting them from water expansion during cold or freezing temperatures. Choosing the best tile for your home can be a daunting task, especially when there is so much to consider. 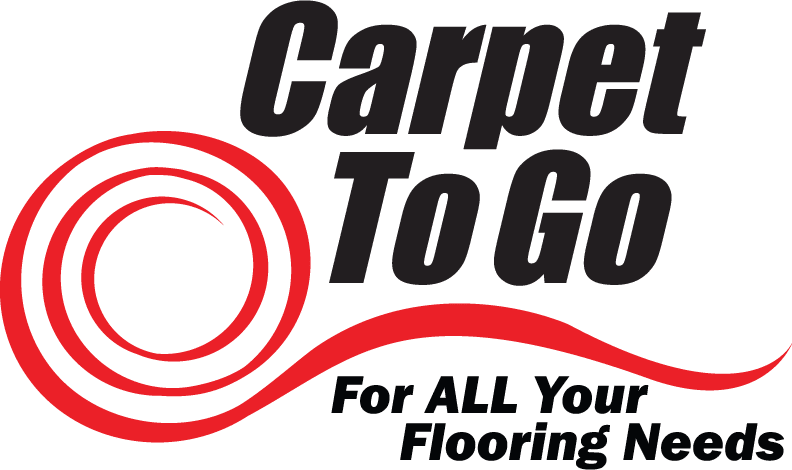 Our specialists here at Carpet To Go would be happy to help you see the possibilities and whittle down the options so you can arrive at the perfect style of tile for you home!